A “50/50 raffle” is the perfect fundraiser to hold at any event where there will already be a crowd of people, such as a sporting event, a play or a meeting. 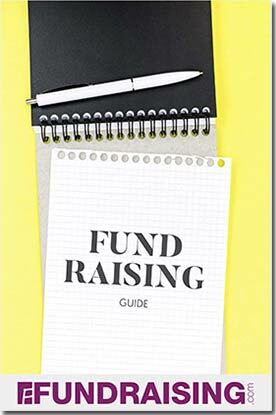 No investment is required, other than the purchase of tickets to sell, and this is a quick way to raise money for your organization and it works especially well for larger non-profit groups such as schools or churches. Sell raffle tickets for between $1-$5 per ticket. When a winner is selected, that person will get half of the total dollar amount collected, and your group will keep the other half. For example, if you sell 100 tickets at $2 each, the total amount collected would be $200. In this case, the winner of the raffle would receive $100 and group conducting the raffle would receive $100. The giveaway in this type of raffle is cash, not a physical prize such as a car, since you split the proceeds with the winner. You could give away prizes in a regular raffle. Obviously, the more tickets that are sold, the more successful the fundraiser will be. By keeping the cost per ticket low, people will be more likely to purchase several to increase their odds of winning. Because you want to sell as many tickets as possible, it is to your advantage to hold the drawing as close to the end of the event as possible. Make an announcement shortly before the drawing to offer one last chance for participants to purchase tickets. At that time, if the amount collected is substantial, reveal that amount to stimulate even more interest. If people hear that the pot is fairly large, they will be more likely to purchase multiple tickets. If there is a table at the event where people must check in or purchase tickets at the door to enter, you should sell tickets at that table if possible. You will have a chance to personally offer a raffle ticket to every person entering the event. This will result in more ticket sales than sitting at a table and waiting for people to come to you. An event at which to hold your raffle. Sporting events, school plays and meeting are a few good ideas. A 50/50 raffle is an excellent, small investment fundraiser that is always exciting to participants. You could include this type of raffle at several events throughout the calendar year, as they require no planning and are a quick and easy way to raise money for your organization. 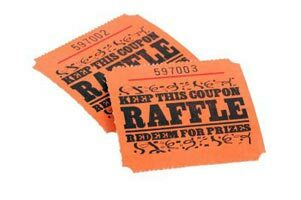 Note: Many municipalities consider raffles a form of gambling if tickets are sold, so be sure to check with local authorities for legal requirements. Here’s a handy chart that shows if fundraising raffles are legal in your state. TicketPrinting.com – sells professionally designed tickets for raffles and other events, plus you can even design your own tickets. Raffle Ready – saves time and money by automating your raffle fundraising. Provides you with your own professional website to boost raffle ticket sales. I was part of a team raising funds for Relay for Life to benefit the American Cancer Society. One very successful fundraiser for me was the sale of Belgian chocolates. I am from Belgium and when visiting my family I brought back chocolates to benefit the American Cancer Society. Maybe a little hard to do, if you don’t have access to Belgian Chocolate. Another thing I did is the 50/50 raffle; I had read about it on the internet. What you do, is you sell raffle tickets and there is only one winner. That winner wins half (50%) of all the money raised, the other half goes to the fundraiser. It’s a lot of fun and very easy to do among a larger group of people. I work on a university campus, so had a lot of people to participate in it. The larger the amount of money raised, the more people wanted to participate or give more than initially given. And just FYI – among hundreds of participants raising money, I came in as the 5th biggest fundraiser!